Not in stock - available within 6 weeks. 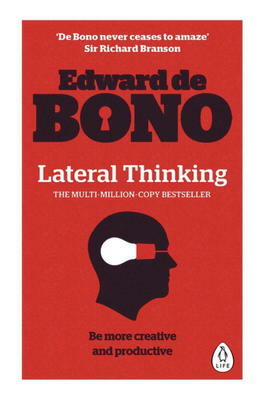 Edward de Bono invented the concept of lateral thinking. A world-renowned writer and philosopher, he is the leading authority in the field of creative thinking and the direct teaching of thinking as a skill. Dr de Bono has written more than 60 books, in 40 languages, with people now teaching his methods worldwide. He has chaired a special summit of Nobel Prize laureates, and been hailed as one of the 250 people who have contributed most to mankind.